Are There Any Telecommuting HR Jobs? Larger businesses have experimented with the flex job model, and it has been demonstrated that some administrative functions, including human resources, are the perfect fit for this strategy. Early adapters of telecommuting HR jobs report significant savings in operational expenses. On the employee side, morale is improved as telecommuting reduces stress and improves work-life balance. A telecommuting arrangement is a job management strategy that allows employees to work remotely from their homes to achieve the same goals as if they worked onsite. The work schedule may be a full-time telecommuting arrangement where the employee sets up an extension office in their own home and business mail is delivered to that address. The employee may be asked to be available during business hours so that the schedule matches that of office-based personnel. Other functions may allow telecommuting staff to choose their own hours, depending on the tasks assigned to them. Part-time telecommuting is an arrangement where the employee works at home on certain days of the week and reports to the office on the other days. This type of schedule is fixed so that human resources and supervisors know exactly who is in or out of the office any day of the week. Another type of telecommuting arrangement is referred to as hoteling. Under this arrangement, telecommuting personnel have no permanent space in the office, but they can reserve a work space on the days that they intend to work in the office. Clearly, various functions in human resources and other departments are the perfect fit for flexible schedules. The top telecommuting HR job is personnel recruitment. The initial step of the hiring process can be performed offsite provided parameters and expectations are pre-set. Corporate recruiters can use the Internet to research, communicate and create reports about potential hires from their home office. Phone interviews can be conducted with applicants, but home-based HR staff must make sure that they have a private and professional environment that speaks well of their employer. Payroll processing and benefits management are functions that have been successfully outsourced by many companies. As an alternative to outsourcing, these tasks may be given to telecommuting HR staff who can guarantee best practices in terms of confidentiality, privacy and data security. Human resource generalists who handle employee relations and community outreach can become offsite jobs on a part-time basis. These are tasks that require some face time that are best scheduled in a business environment. Likewise HR administrators tasked with creating employment policies, employee handbooks, training manuals and other guidelines can ask for a flexible schedule to enhance productivity. Based on data gathered by Workplace Analytics, at least 3.7 million employees work remotely at least part of the time. While employment numbers rose by 1.8 percent in 2014, the telecommuting cohort increased by 6.5 percent. It is apparent that telecommuting HR jobs will grow as companies become more comfortable with this workplace strategy. 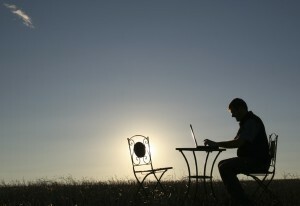 Telecommuting is a practical option in both urban and rural settings. It is a system that creates efficiency for both employer and employee. Employers can expect enhanced productivity while reducing overhead. Employees eliminate wasteful commutes and gain more time to devote to personal and professional pursuits in a telecommuting HR job.